Daniel Coutinho received the B.E. degree in Electrical Engineering in 1989 from the Universidade Federal do Rio Grande do Sul (UFRGS), Porto Alegre, Brazil, and the M.S. and Doctoral degrees in Electrical Engineering from the Universidade Federal de Santa Catarina (UFSC), Florianópolis, Brazil, in 1993 and 2003, respectively. In 2001, he was a visiting scholar at the University of Newcastle, Australia. From 1992 to 1997, he was a Lecturer in the Electronics Department at the Federal Institute of Technology of Santa Catarina (IFSC). From 1998 to 2010, he was with the Faculty of Engineering at the Pontifícia Universidade Católica do Rio Grande do Sul (PUC-RS). In 2008, he spent a sabbatical year in the Service d’Automatique at the University of Mons, Belgium. 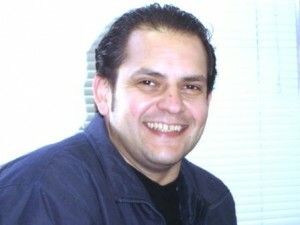 In 2010, he joined to the Department of Automation and Systems of UFSC, where he is currently the head of post-grad studies. He is an IEEE Senior Member, as well as an Associate Editor of the IMA Journal of Mathematical Control and Information. His research interests include robust control and filtering, stability analysis and control of nonlinear systems, time-delay systems, networked control systems, switched systems, with applications in robotics, bioprocess control and power electronics.